Devonshire Homes Limited (“we” or “us” or “our”) respects the privacy of our users and customers (“you” or “your”). This notice explains why we collect your personal information and how we use it when you visit our website, or enquire about a property or purchase a property from us. We will only use your personal information to provide the products and services you have requested from us. We do not sell personal information to anyone and only share it with third parties that deliver some of our services in partnership with us. You will not have to pay a fee to access your personal information. However, we may charge a reasonable fee if your request for access is clearly excessive or unfounded. In certain circumstances we may refuse to reply with the request. contact details (name, email, phone numbers, address). preferred means of communicating with us. your current home and its ownership status. why, when and where you want to move. how you found out about us or how you got in touch. You do not have to provide any information in order to access and use our website, but please see the section below on Website tracking and cookies, as certain services provided by the website may not function as intended if you choose not to share any information with us. If you enquire via a third party (e.g. Rightmove or a local estate agent), then that third party provider will pass your details to us so that we can handle your enquiry to the best of our ability. notes on conversations you have had with us. any correspondence we send to and/or receive from you. If you consult an Independent Financial Advisor (IFA) for help with purchasing a new home, we will process any information you have agreed they can share with us that relate to your mortgage, such as funding your new home purchase via Government-backed scheme such as Help to Buy. The IFA will also confirm that they have verified your financial documents. details of your new mortgage. details about the sale of your current house. contact details of your solicitor, and estate agent if used. information required for any equity loan scheme (such as Help to Buy). This could be information required as part of the Property Information Form (PIF), including your personal details and financial information on your income and existing commitments. any extras that you purchase or selections you make. key dates that relate to your home purchase. contract terms and deposit payments. certified copies of your passport, driving licence and/or utility bill as required by the CML to support money laundering/fraud legislation. a marriage or death certificate in some circumstances to prove succession of title. a check on HM Treasury’s Financial Sanction list for evidence of criminal activity. your utility companies and meter readings. issues with your home that you have reported to us and how they were followed up. responses to our customer satisfaction survey (unless you elected to respond anonymously). If you fail to provide when requested, information we require in order to facilitate the purchase of a property, this may prevent us from entering into or performing our contract with you. to take steps to enter into a contract with you. because we have your explicit consent, freely given. because it is necessary for our legitimate interests, that are not overridden by your rights. to follow up on your enquiry and provide further information you have requested about the properties you have shown an interest in. to determine which of our properties may suit your needs. to assist you in the journey of choosing and purchasing a property from Devonshire Homes. to assist you with selling your own home (eg through Devonshire Move). to help you with any financial products (such as mortgages and loans) that you may need, including the valuation of the home you are purchasing. to comply with money laundering and fraud legislation. to prove succession of title. to provide after-sales support in performance of our contract with you. to obtain customer feedback on your home and the purchasing process based on our legitimate interests in improving the quality of the services we provide and our ability to meet your needs. We will share your personal information with third parties where this is required by law, where it is necessary for us to enter into or performer contract with you, or where it is in our legitimate interests to do so, and these interests are not overridden by your rights. We will take reasonable steps to ensure that any third party we share your personal information with protects and respects that information and complies with the Data Protection Legislation. With your prior consent, we may share your contact details and property requirements with a local marketing partner, such as an estate agent who may be working with us on a specific development. This will enable them to contact you and take care of your requirements. We may pass your contact details and details of your desired property to an IFA so they can confirm you are able to purchase the home, and so they can arrange finance to enable you to purchase the home, but only when you are ready to do so and with your prior agreement. pass your details and the details of the home you are buying to our own conveyancers, and to your chosen solicitors. if you are purchasing using a government-backed scheme (eg Help to Buy) we will pass any necessary details about you to the government agency concerned. pass your details to the relevant warranty provider (eg NHBC or LABC) so they can issue a warranty certificate. pass your details to utility companies so they may provide you with their services. We will take meter readings on the day you complete the purchase and pass these to the relevant company. After you have purchased a home from us we will pass your personal information to other parties as necessary to allow them to provide our after-sales support, including our out-of-hours customer service. This may include subcontractors to fix faults and provide emergency call-out services, and warranty providers for any equipment or fittings. We may pass your contact details to third party customer satisfaction research partners to ask for feedback from you on your new home and the sales process for our legitimate interests in improving our services and industry-wide reporting, always making sure they give you the opportunity to refuse consent. We hold and process your personal information entirely within the UK. and we do not transfer that information outside the EU. Access to our website is encrypted. Our servers are housed in secure environments and we follow strict procedures on accessing personal and other information. 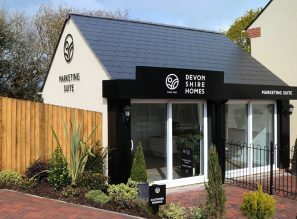 Sales enquiries - If you have enquired about purchasing a home, we will keep all the information you have provided for as long as we believe you may be interested in purchasing a Devonshire Homes property. We will generally base our assessment of this on when we last heard from you with an expression of interest, and will securely delete your personal information if we do not hear from you for a period of 12 months. If you have previously consented to receiving marketing materials from us and subsequently choose to unsubscribe, we will stop sending you such materials and we will securely delete your personal information. 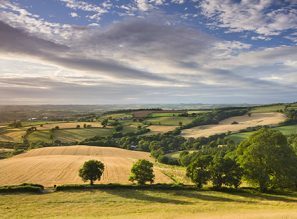 Home buyers - If you have purchased a home from us, we will retain your personal information relating to the purchase of your Devonshire Homes property for ten years from the date of purchase, or until your warranty expires. We will however retain limited information, including your name and the details of the home we sold you, indefinitely for our records. However, we will retain records of your name, postcode, the date of your first enquiry, the history of the consents you have given and our communications (including any email correspondence between you and Devonshire Homes concerning your enquiry) for a further period of seven years. If after contacting us you still have concerns about how we process your personal information, you have the right to report those concerns to the Information Commissioner’s Office (ICO) – see https://ico.org.uk/concerns.